Welcome to my little posting service, I am offering your forum the best forum boost packages for cheap! I will post 25 quality topics that will be engaging and boost traffic and posts on your forum. It's pretty simple, for a forum to be successful you will need active discussions going on between the members. To achieve this you need good topics, but not only the ones that you post. At the start it might be good to post alone but after a while you will need some help to make the forum look active. That's where this service comes in. With 25 new topics by a new member you will achieve a outlook of an active forum and with it you will draw in new members. If you are looking for posts only or smaller packages, check out my other services.Thank you for your time. 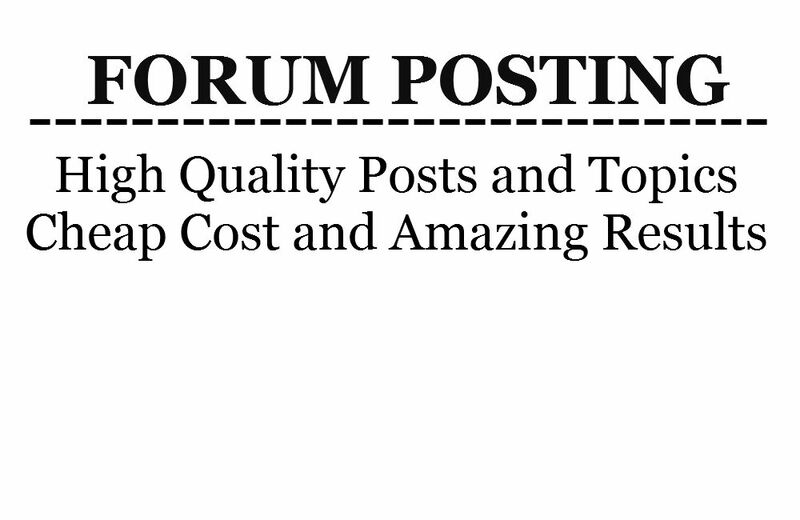 Post 25 quality topics on your forum is ranked 5 out of 5. Based on 2 user reviews.